This volume caustic is formed as light is focused through the glass sphere into the fog medium. 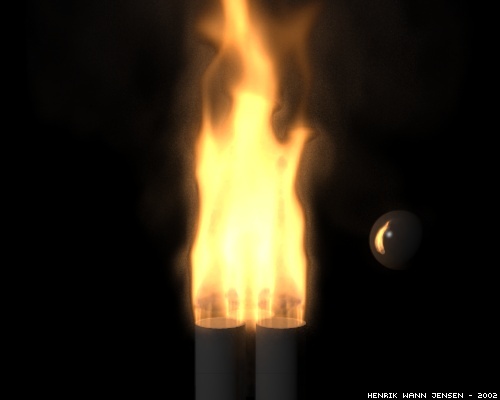 Photon mapping was the first practical method capable of rendering volume caustics. 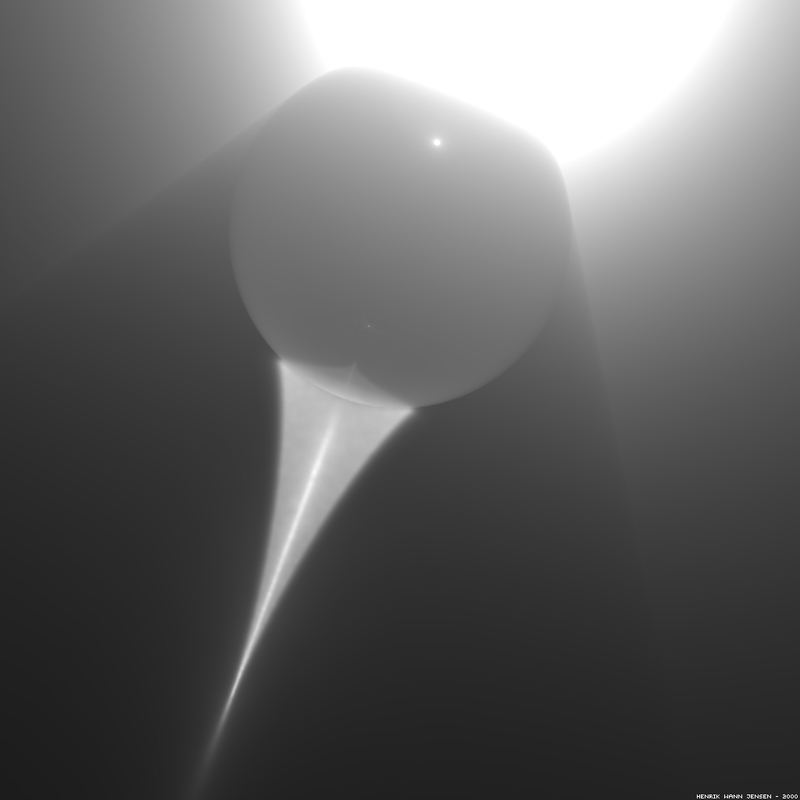 This caustic was rendered using 500,000 photons. 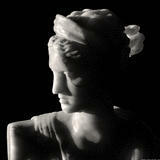 This bust of Diana the Huntress is made of translucent marble. It has been rendered using subsurface scattering to capture the translucency including multiple scattering in the marble. Just 200,000 photons were used to simulate multiple scattering in the marble (the bust is modeled using 1.3 million triangles). You can see more images with subsurface scattering here. 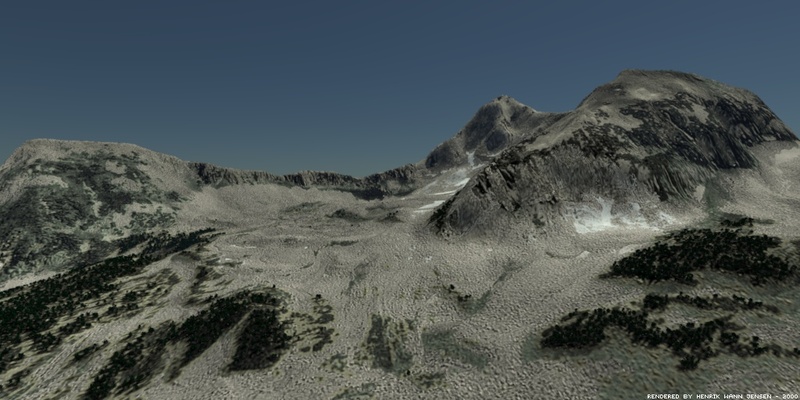 This is a daylight simulation of Little Matterhorn. Just 100,000 photons were used to simulate indirect illumination of the landscape. 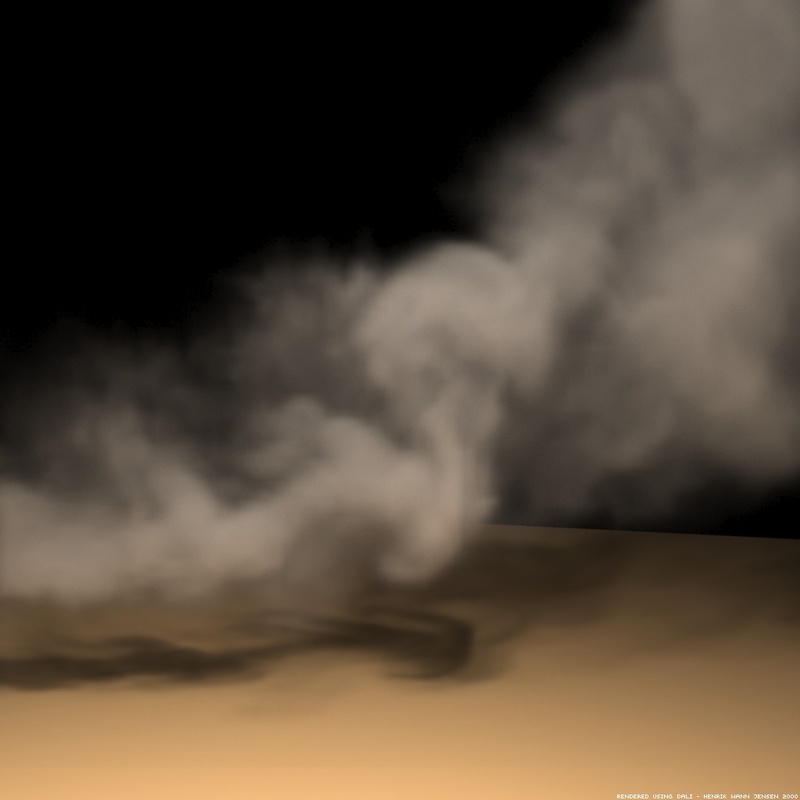 For the cloudy day, I used a simple procedural technique to create a layer of true volumetric clouds that would cover the landscape and still provide sufficient detail. Note the shadows on the landscape from the clouds and how the tip of Little Matterhorn sticks into a cloud. 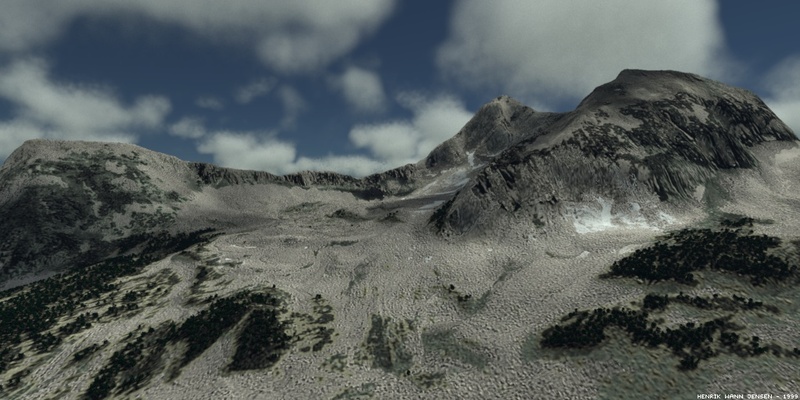 The model of Little Matterhorn was created at University of Utah. There is an animation of the clouds forming over the landscape on the animations web-page. 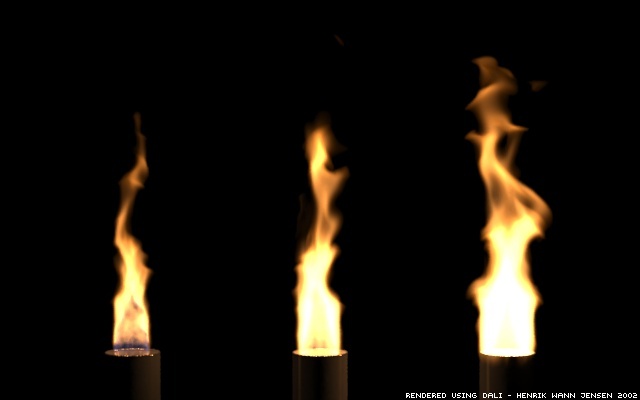 The fire images are from the paper Physically based modeling and animation of fire. 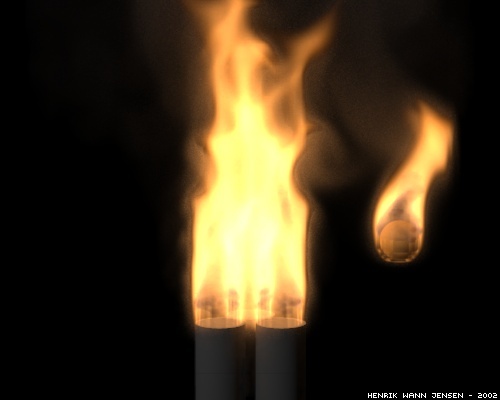 The fire emits blackbody radiation which illuminates the smoke and the surrounding elements. To get the colors of the fire realistic a chromatic adaptation algorithm was used together with hyperspectral sampling. 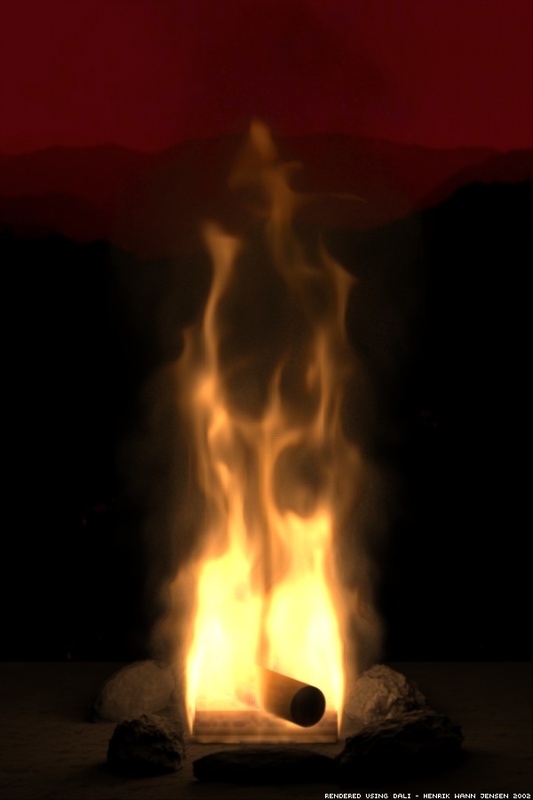 There is a video from the paper showing several different animations of fire on the animations page. 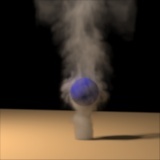 These images illustrate how photon mapping can be used to simulate light scattering (including multiple scattering) in smoke. You can see animations of the smoke on the animations page, and you can read about the techniques used to simulate the smoke in this paper.